I was SO blessed at MegaFest15! and I'm extremely grateful that I was able to attend and do media coverage for BOLD-Impact Network. It was an amazing time and as promised it was more than a festival, but truly an experience. The blessing of attending MegaFest is still present in my spirit, and I'm sure it will be for a very long time. As soon as I made it to "Woman Thou Art Loosed" opening session the spirit of empowerment and excellency was already in the air. The major American Airlines Center arena that sits thousands of people was fully packed... and not with just any random people, but those active in praise and worship. There were many great gospel, and even some secular musical acts that joined the praise, but the ladies of Grace, the gospel group on Bishop T.D. Jakes, Dexterity Records label really stole the show...and they didn't just hold the spotlight captive for themselves, they gave it to God, which made the worship experience even greater. Each time they performed they set the atmosphere for worship. The official Woman Thou Art Loosed opening session was definitely something to remember! Bishop Jakes came with a power packed message full of rhema word that seemed to touch everybody in the arena, and it was on point from start to end. The message was on the capacity we have for God to fill us, if we allow Him to. If we recognize our need as God's ability to fill, and to operate on our behalf, we will began to experience His power on a greater level. The need we have creates a capacity for God to fill! It's up to us to let God be God and expose our needs to Him without holding back due to being too proud, ashamed, etc. It was explosive! That amazing message set the stage for excellence as the fest continued rolling. The spirit of empowerment was thick in the air as attendees walked around the Dallas vicinity, empowered conversations were heard on the streets, in the trains, on the buses, and everywhere in between among attendees. Divine connections were made, just confirming the word that Bishop Jakes stated in the opening session. He was speaking directly to the spirits and hearts of the people. The sights and sounds of MegaFest15 will remain unforgettable, it had the whole city fired up for God. It was easy to tell that MegaFest15 was filled with a special kind of people. It's not that the preachers, teachers, or speakers hyped the people up so much, but it was that they were talking to people with dreams and purpose on the inside of them. That's were destiny and the holy spirit began to move, the atmosphere was conducive to growth and MegaFest created a launching pad for breakthrough! There is no doubt that after attending MegaFest, that the many attendees dreams will be manifested into reality, better yet into destiny, which is what Bishop Jakes latest book "Destiny" addresses. It was beyond empowering to be in an environment with people, with dreams and purpose on the inside of them, who are inspired by God's will for their lives. It was truly inspiring... and did I mention amazing?!! 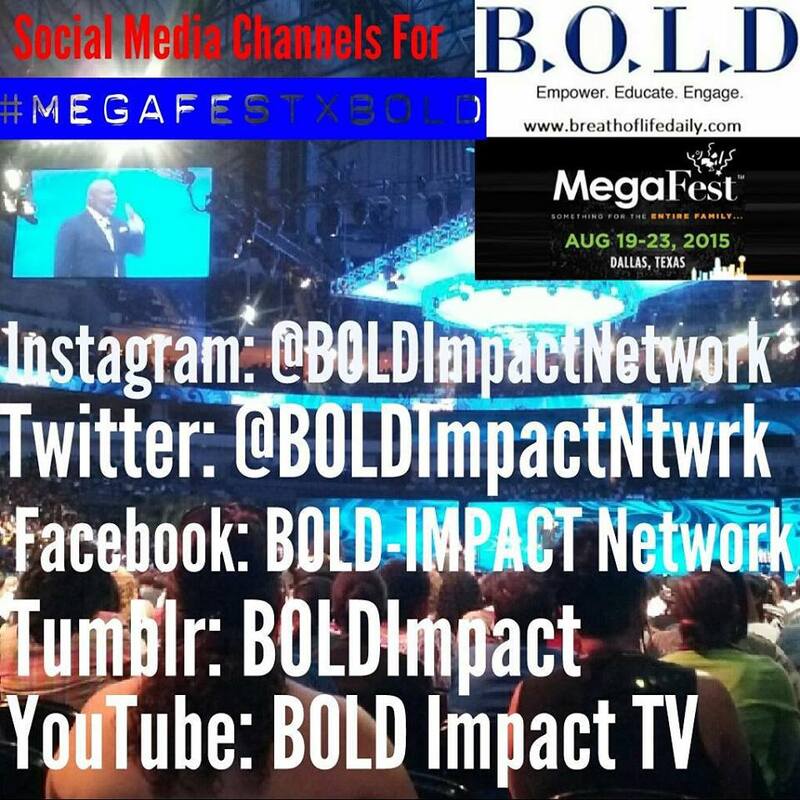 Also, check out the MegaFestxBOLD album on our Facebook page and the latest updates from MegaFest on BOLD's Instagram page. It is my prayer that the blessing that I received at MegaFest15 will be with you on your journey, just as it will on mine. Go with the empowerment... it is officially being passed on to you. Enjoy the experience! Thank you to T.D. 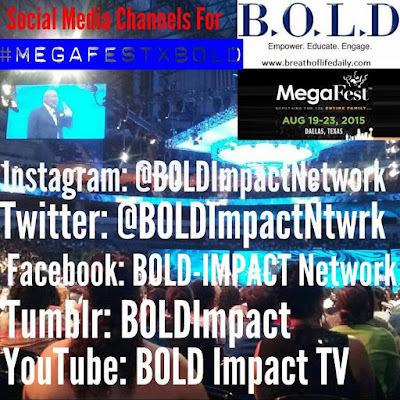 Jakes Ministries and MegaFest for granting BOLD-Impact Network access! Be sure to visit their website: www.mega-fest.org for more resources. 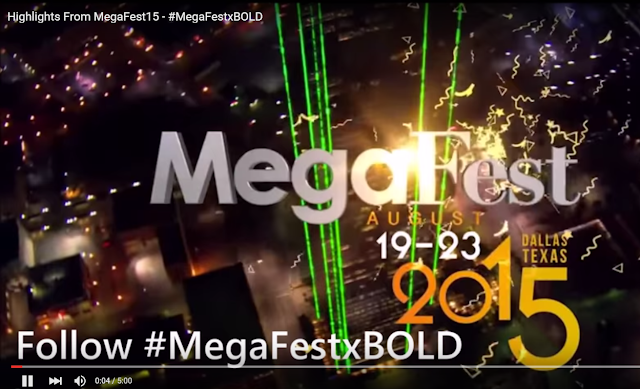 Did you attend MegaFest this year? What were your favorite moments? If not what updates or quotes have you enjoyed the most from BOLD-Impact's coverage on social media (Twitter, Fb, Instagram)? Let us know in the comments section below. Let's keep the conversation going! Looking forward to your feedback.